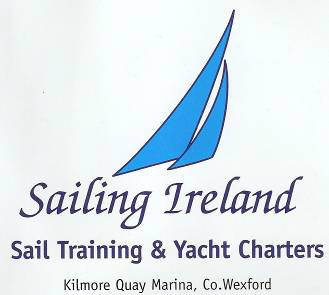 Sailing Ireland is an Irish Sailing (formerly: Irish Sailing Association (ISA)) accredited sailing school and yacht charter company. Established in June 2003 Sailing Ireland offers a wide range of courses to suit all levels of experience from the beginner to the seasoned sailor. We aim to create a safe, fun learning environment for our students where questions are welcomed and students can learn by actively doing, rather than just watching. with over twenty five years sailing experience. the Mediterranean, the Channel Islands, France and the USA. to sail in the early 1990's. His hobby became a passion and Dermot decided to make a life change. He founded Sailing Ireland in June 2003 to share his love of sailing. professionalism and great instruction on offer. and to sample its delights. Check out 'what our customers' say for feedback on us. Sailing should be about having fun and relaxing on the water. Many of our students have gone on to purchase their own boats and some have gone on great adventures to warmer climes. Past Students have completed trans Atlantics, Greenland exploration, extended cruises to the likes of the Med, Canary Islands and Iceland and several have also gained employment in the sailing industry on both Tall Ships and Superyachts. Dermot is always available to offer advice and encouragement in achieving your dreams. it can be with a days sailing around the Saltee Islands. who will be delighted to pass on knowledge and advice. safety equipment is supplied and must be worn. safe environment with spectacular scenery and wildlife.